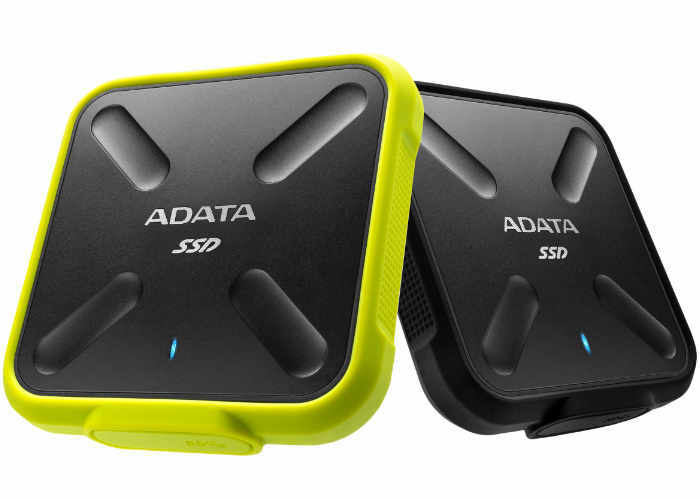 ADATA Technology a leading manufacturer and supplier of high performance DRAM, NAND Flash products, and mobile accessories has today unveiled a new addition to their range of external SSD solid state drives, with the launch of the ADATA SD700 Durable External 3D NAND SSD. ADATA has created the SD700 to provide a rugged enclosure that has been tested to IEC IP68 standards allowing it to be dust-tight and operate normally even submerged in 1.5m of water for 60 minutes. The SD700 uses a USB 3.1 Generation 1 connect and is plug and play compatible with Windows, Mac OS, Android devices providing up to 440MB/s read/write speeds and is available in either 256GB, 512GB, and 1TB storage capacities. For connectivity, the SD700 uses high throughput USB 3.1 Gen 1, more than enough to stream 4K content with no buffering or lag. Typical data speeds are 440MB/s read and write. The SD700 is plug and play compatible with Windows, Mac OS, and Android devices to best serve global audiences. Unlike durable HDDs, including those made by ADATA, the SD700 ushers a new era of even better mobility. It weighs just 100g, operates with complete silence, and does not build up any heat. Additionally, ADATA is offering the SD700 in two-tone black and yellow or all-black color schemes. Unfortunately no information on pricing or worldwide availability has been released as yet ADATA, but as soon as information comes to light we will keep you updated as always.